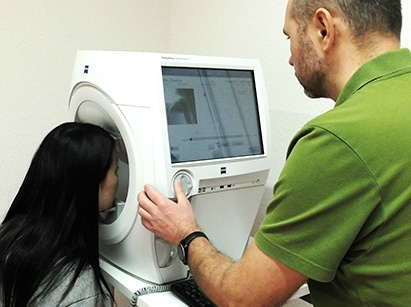 The Restore Vision Clinic in Berlin was founded in March 2015 by Dr. Anton Fedorov to serve one purpose – to improve the eyesight of visually impaired patients. In 1993, Anton Fedorov graduated with distinction from the Saint-Petersburg Medical University in Russia. From 1993 to 2004, he worked as a neurologist and researcher at the Human Brain Institute in Saint Petersburg, where he used the method of non-invasive electrical stimulation therapy on patients with vision disorders in his clinical practice. With his direct participation, more than 5,000 patients were treated and the main results of electrical stimulation were published. This period of work and study led to the development of patented new methods of electrical stimulation therapy. Our treatments help patients with visual disorders that affect their ability to see the world around them. Our support and treatment of visually impaired patients has shown that many patients suffering from an optic-nerve lesion (optic neuropathy) have mostly accepted living with reduced vision. But this does not have to be the case. For more than 20 years, we have successfully used Fedorov Restoration Therapy to help patients regain vision-loss from ‘untreatable’ conditions. Our long-term clinical experience enables us to assess if your medical conditions will respond favorably to Fedorov Therapy, and to estimate the extent and nature of the benefits that can be expected. 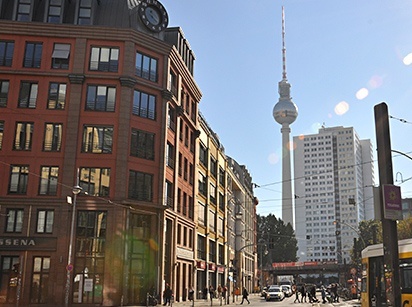 Located in Berlin, the capital city of medical tourism, Fedorov Restore Vision Clinic is conveniently situated in the heart of the city and across from leading hotels to ensure patients’ and families’ accessibility and convenience during the treatment period. Ours is a proprietary Restore Vision Clinic, and we have evolved Fedorov Restoration Therapy for more than 20 years to treat patients with visual impairments. Our clinic was established to improve and maximize eyesight and quality of life of our vision-impaired patients through our dedication, knowledge and expertise. 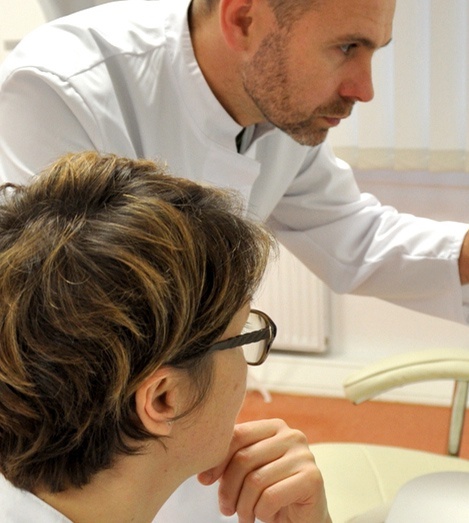 Long-term clinical experience combined with our knowledge is applied to each individual case. Treatments are customized to a patient’s needs, using an optimal course of electric stimulation to achieve the best results. This is one of the reasons 75% of our patients see improvement in their vision after a single course of treatment. Berlin, Germany. 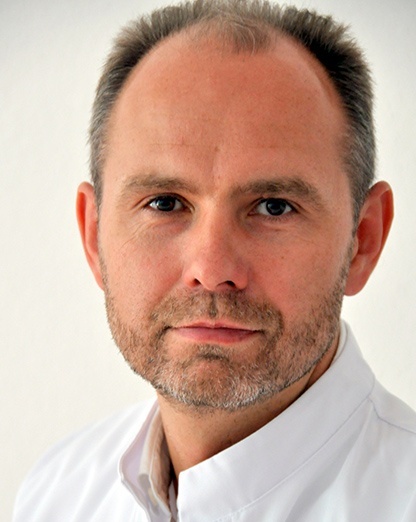 Dr. Anton Fedorov founded a Restore Vision Clinic in Berlin. Fedorov Clinic was established to improve and maximize eyesight and the quality of life of vision impaired patients through dedication, knowledge and expertise. Germany. The CE approved the device for electrical stimulation therapy and the technology developed with participation of Dr. Anton Fedorov became available in Germany. Germany. Electrical stimulation therapy received Class Ib Confirmation of Effectiveness – Which means that there is high level of evidence that this medical approach is confirmed to be effective, improving disturbed visual function. Germany. Four independent clinical trials (placebo controlled, double blind, randomized, multicenter) were conducted. 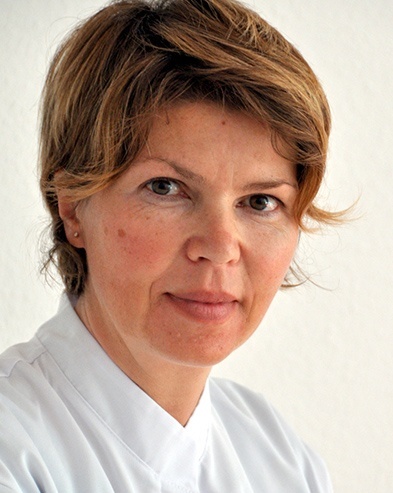 Dr. Fedorov was the Medical Director (Magdeburg Medical School), and a consultant for four centers in Germany. Berlin, Germany. Dr. Fedorov is the founder of EBS Technologies GmbH. Dr. Fedorov worked there as medical director until February 2013. Russia. The first pilot study with “Brainstim” to use electrical stimulation therapy for patients in minimal concussion state and coma was conducted in Department of Anesthesiology and Resuscitation at the Russian Polenov Neurosurgery Institute. Germany. “Brainstim“ electrical stimulator was used in its first placebo controlled, double blind clinical trial for patients with a damaged optic nerve (Medical School Magdeburg University). This approach was proven to be effective in improving vision. Russia. A new patent was approved that covered the proposed method to treat, with therapeutic electrical stimulation, different disturbed visual and non visual (motor, speech, cognition) functions. 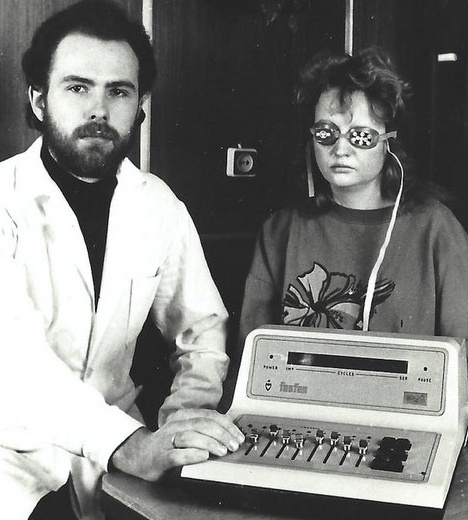 The first computer-based device, the Brainstim for electrical stimulation therapy, was developed as an industrially available device by a team led by Dr. Fedorov. The technology and device were presented in Germany. As of 2005, there were 8,000 patients with optic nerve damage, retinal disease and amblyopia that were treated with electrical stimulation therapy. Results were presented in London at the conference "VISION". The company 'Center for Clinical Electrostimulation' headed by Dr. Anton Fedorov was incorporated (in Saint-Petersburg, Russia) to focus on the development of modern equipment for therapeutic electrical stimulation. The method of electrical stimulation therapy was evaluated for use on patients that suffered from brain stroke. Dr. Chibisova conducted treatments confirming that stroke patients can benefit from the treatment gaining improved disturbed motor, speech and cognitive functions. 1,500 patients were subjected to therapeutic electrical stimulation. The method began to be more frequently used for several retina diseases, such as retinitis pigmentosa and macular degeneration. Three new patents were received. The second generation device for non-invasive therapeutic electrical stimulation was developed under Dr. Fedorov's supervision, significantly extending the flexibility of treatment, which led to increased positive follow-ups. Results were presented that were sufficient in proving the main concept, allowing the treatment method to be patented. The first patent for non-invasive electrical stimulation therapy to improve vision loss caused by optic nerve damage, retina disease and amblyopia was obtained. Dr. Fedorov began his work at the Human Brain Institute. From 1990 to 1996, about 3,500 patients with vision deterioration caused by optic nerve damage were treated in the Lab of Sensory Systems. Russia. The Human Brain Institute was founded. The Lab of Sensory Systems was opened and therapeutic electrical stimulation began to be a publicly available treatment for vision restoration. Russia. Neurosurgery department of Military Medical Academy. For the first time worldwide invasive electrical stimulations of damaged optic nerve were performed with positive results. This was a breakthrough in ophthalmology. In 1993, Anton Fedorov graduated with distinction from Saint-Petersburg Medical University in Russia. From 1993 to 2004, he worked as a neurologist and researcher at the Human Brain Institute in St. Petersburg, where he used the method of non-invasive therapeutic electrical stimulation on patients with vision disorders in his clinical practice. With his direct participation, more than 5,000 patients were treated and the main results of stimulation were published. This period of work and study led to the new and patented methods of electrical stimulation. From 1999 to 2003, Dr. Fedorov wrote and defended a thesis in neurology titled, "Restore Vision at Focal and Diffuse Brain Impairment." As a practical neurologist, from 2004 to 2008, he worked in different neurological clinics at St. Petersburg and then in the State Neurosurgery Institute in Saint Petersburg. His knowledge and professional interest in the field of restorative medicine led him to move his activities to this particular field - creating a company for the development of medical devices for electrical stimulation. In June of 2006, a team headed by Dr. Fedorov developed an electronic device for application of therapeutic electrical stimulation, based on the computed electrostimulator with EEG feedback. The long-term clinical experience gained by using this technology allowed him, in February 2007, to patent a new approach to restoring disturbed brain functions in visually impaired patients. This allowed for the assessment of a new path of treatment that provides patients with new advantages to existing ophthalmological and neurological deficits. In 2007, Dr. Fedorov founded the company "EBS Technologies" in Berlin, Germany, where he worked as medical director from 2008 to February 2013. The first CE-approved medical system in Europe, "New Wave", focuses on therapeutic, non-invasive, brain stimulation, and was developed with his prominent input. The double-blind, randomized, placebo-controlled clinical trial conducted in Germany confirmed how this approach improves the patient's vision. After being a neurologist in a German neurological clinic from 2013 to 2015, he then opened his own clinic in Berlin, in April 2015. The Restore Vision Clinic offers personalized medical care through Dr. Fedorov's extensive knowledge, expertise and dedication to this field of medicine. In 1994, Julia Chibisova graduated from Saint Petersburg Medical University in Russia. Since that time, she worked as a neurologist in the Department of Neurology, Neurosurgery and Medical Genetics of Mechnikov State Medical Academy in Saint-Petersburg, Russia. During the same time, she continued her clinical work and was a teacher on the staff lecturing on neurology and medical genetics. From 2002 until 2005, Dr. Chibisova performed her thesis on the development of new methods for the rehabilitation of patients who suffered a stroke using a method of non-invasive brain stimulation. In 2005, her thesis was defended with great success. The results of her work gave significant motivation to the understanding of the mechanisms of the impulse-current effect on the brain. They allowed for the development of a new method of recovery from cerebral-function disorders, such as stroke sequellae as movement disorders (hemiparesis), speech disorders (aphasia), and mnestic (memory decrease) and depressive conditions. These clinical findings were implemented and patented in 2007 as a new medical approach, dedicated to the restoration of disturbed brain functions for patients suffering after ischemic stroke. In February 2012, Dr. Chibisova started working in Germany as a neurologist in the neurological hospitals. After the opening in 2015 of the Restore Vision Clinic in Berlin, she moved her work to the center. Discovering the Fedorov Restore Vision Clinic has been an absolute godsend. My teenage son experienced a brain haemorrhage more than 3 years ago and is now severely visually impaired. Despite his neurologists in London telling us there is nothing that can be done to repair the damage to his optic nerve, we continued to search for therapies and treatments that could help. We found Dr Fedorov’s clinic and went for our first treatment last month. For the first time in 3 years, my son was receiving intensive treatment. After just two weeks of being back home we are already seeing an improvement in his vision. On a recent shopping trip, he was so excited that he could now see people pushing their trollies! We know this is just the start of the process, but we have already seen enough of an improvement to make the decision to book a second treatment for six month’s time. We could not have asked for a better experience – Dr Fedorov and his team are offering a life-changing treatment and I thank God we found them!